At worst, the 2011 ruling in Waller v City of New York makes the First Amendment rights of public protest subject to the ‘police power’ of repressive, legislative and judicial power which collectively governs in the name of ‘security’. 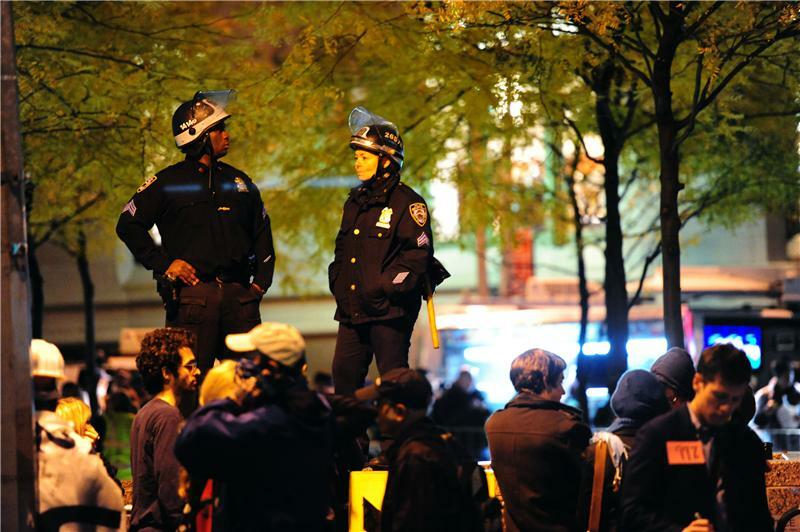 have not demonstrated that they have a First Amendment right to remain in Zuccotti Park, along with their tents, structures, generators and other installations to the exclusion of the owner’s reasonable rights and duties, and to maintain Zuccotti Park, or to the rights to public access of others who might wish to use the space safely. Echoing Judge Stallman’s reasoning, Mayor Bloomberg stated in his press conference later that day that the rights to free speech were outweighed by the demands for ‘public health and safety’. The final ruling of Judge Stallman in Waller stated unequivocally that the applicants for the temporary restraining order failed to show “a right to a temporary restraining order that would restrict the city’s enforcement of the law so as to promote public health and safety.” On these grounds, the petition for staying the temporary restraining order against the City was denied. As Foucault recounts, this centralized system of the French police is modified by the 18th century competition of European nation-states, where ‘police’ came to have the dual functions of repressing social disorder and insurrection as well as to uphold and respect the rights and interests of its citizens, who are understood as both homo juridicus and homo economicus: subjects with legal rights recognized by the sovereign as well as subjects with economic interests which are also respected through the autonomy of the market. 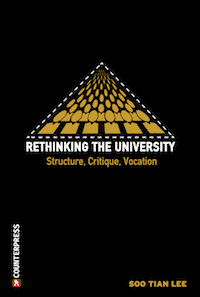 It is the emergence of the latter — the independent subject of interest — along with the discovery of the phenomena of ‘population’ which for Foucault signals the beginning of the emergence of liberal governmentality. ‘Police’ in the 18th century, therefore, will therefore come to have certain limitations and obligations imposed on it in in the form of the protection of the rights of individuals, the interests of the economic subject, and the maintenance of and service to ‘population’ and its political counterpart, ‘the public’. 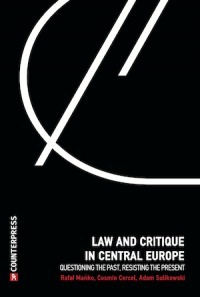 These limitations on ‘police’ in liberal governmentality, for Foucault, effectively decompose ‘police’ into the dual mechanisms of ‘state repression’ focused on internal social disorder and mechanisms of ‘incentive-regulation’ focused on the control, prevention and regulation of freedom in the name of public utility, public health, the market and security. Therefore homo juridicus and homo economicus, while protected and served by this new liberal ‘police’ apparatus, will also come to be subject to all the public controls, restraints and regulations which seek not to eliminate the enemies of the State directly but rather to control, prevent and regulate the internal dangers to the State indirectly ‘at a distance’. Liberal government from this point will, in the words of Madison and Franklin, seek not to destroy the causes of faction and insurrection but rather to ‘control its effects’. ‘Police’ in liberal government, therefore, will be understood from this point as an apparatus of security that deploys preventative mechanisms such as law, regulations, market incentives, spatial arrangements, and other devices in the name of security. In order to understand how the ‘police’ apparatus operates in liberal government, we have to return to the 19th century when ‘police’ meant something far more than the repressive state police force. 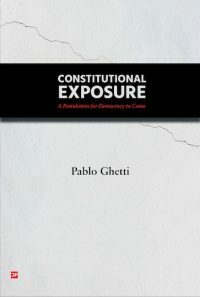 In fact, the treatises that appear in the 19th century on the constitutional limits on the ‘police power’ of state and local governments all entertain and address the possibility that ‘police’ might well encompass the totality of powers not explicitly delegated to the federal government; ‘police’, in other words could mean a ‘free pass’ to state legislatures to control their populations by any means not prohibited by the Constitution. One such treatise is Christopher Tiedeman’s A Treatise on the Limitations of the Police Power in the United States: Considered from both a Civil and Criminal Standpoint (1886). In this treatise — as in virtually all the treatises on police power jurisprudence in the nineteenth century — the nature and scope of the ‘police power’ of government, delegated to the states at the Constitutional Convention, is notoriously vague and undefined. 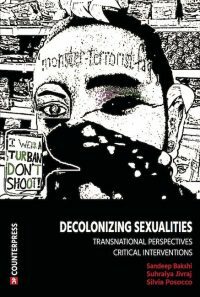 Borrowing notions from English common law and 17th century theories of police and raison d’Etat, the origins of ‘police power’ were, in the beginning, coextensive with colonial rule in general and with preventing insurrection and slave revolts in particular. As Dubber describes in The Police Power, Patriarchy and the Foundation of American Government (New York: Columbia Univ Press: 2013), it constituted the rationality of paternal colonial governments who conceived of themselves as the rightful owners and landlords of the settled colonies. ‘Police power’ in early American governance, Dubber explains, then simply came to mean the right of the paternal power to rule and watch over his household. 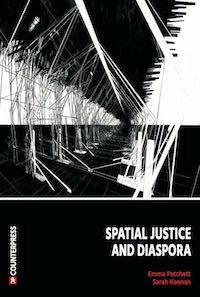 In particular, the powers of defining and patrolling the boundaries of one’s ‘household’ were especially important for early colonial conceptions of the ‘police power’ if only because of their relevance for spelling out who is not welcome within the ‘households’ of the early Anglo-American colonial order. In Tiedeman’s Treatise on the police power, this is the very first issue addressed in his introduction where he states the purpose of his endeavor is ‘to awaken the public mind to a full appreciation of the police of constitutional limitations to protect private rights against the radical experimentations of social reformers’ in the ‘cause for social order and personal liberty’. Tiedeman goes on to say that the ‘private rights’ in desperate need of protection are those of the ‘shrewd majority’ of the country, and that the ‘radical’ social reformers jeopardizing the rights of the shrewd majority — who he names as that ‘great army of discontents’ known as the Socialists, Communists and Anarchists — constitute a ‘weak minority’. This ‘weak minority’ of radical reformers, Tiedeman says, poses the greatest threat to the ‘conservative classes’ in the form of a ‘democratic absolutism’ which threatens to raise wages, give universal suffrage and abolish private property. Therefore, he states, the ‘principal object’ of his treatise on the legitimate police powers of government is to explain how this democratic absolutism can be avoided. Tiedeman’s treatise on police power jurisprudence, then, is at the same time a political treatise regarding the security of the State. In order to avoid this democratic absolutism, Tiedeman says, there must be a nourished and sustained ‘popular reverence’ for the federal and state constitutions which as a matter of course should claim to protect each and all under the banner of ‘equal protection under law’. This banner of equal protection under law, which Tiedeman proposes as more of a security mechanism than a principle of justice or law, should be inculcated and enforced by the ‘police power’, the task of which Tiedeman defines as ‘the enforcement of the legal maxim, sic utero tuo, ut alienum non laedes’ (use your own without alienating the same use by others). In this way, Tiedeman claims, the legal maxim of equal protection under law, and its inculcation and enforcement by ‘police power’, can serve as a security mechanism against the ‘weak minority’ who threatens the social order of the State which they see as unjust. By enforcing this legal maxim of ‘equal use’ or ‘equal access’ under law, social stability will be ensured by the appeal to ‘equality’. The legal maxim of equal protection under law and its enforcement, therefore, is first and foremost a mechanism of security against class insurrection. Here, there is an explicit appeal to the legal maxim of equal protection under law first set out by Tiedeman; namely, that, because the protestors ‘use’ of the public space violated the legal maxim of ‘equal use by others’, the First Amendment rights of the protestors have been rendered void. The ‘exclusion’ clause, by making the recognition of the First Amendment rights of the protestors contingent on the ‘equal use by others’, thereby makes it clear that the rights of the ‘minority’ protestors are always subject to the security mechanisms intentionally put in place against them by the law. Thus in the legal limbo of Waller, it is clear that the impetus is on the protestors to “demonstrate” their First Amendment Rights. They must demonstrate their rights to the exclusion of the other ‘users’ of the space whose legitimate access to the space is already recognized. That the First Amendment rights of ‘minority’ protestors are contingent upon a judicial review of their legitimacy by a judge in view of this legal maxim, then, is the hallmark of Waller and the ‘police power’ of liberal government that relies upon the security provision embedded within the ‘exclusion’ clause of the ‘equal use’ principle. Most importantly, the court ruling made it clear that in both respects — with regard to the status of the protests themselves and with regard to Brookfield’s private rules of conduct — the applicants did not demonstrate a right which warranted upholding. In other words, what the court did not appear to do is weigh the already-recognized first Amendment rights of the occupants of the park against those of the public at large and those of Brookfield Properties (indeed nowhere does the ruling explicitly recognize a priori the First Amendment rights of the protestors). Rather, what the court did do, it seems, was evaluate, from the standpoint of the ‘majority’, law-abiding consumer-public, which the police power is designed to protect and serve — whether or not the protests had any rightful validity at all. This perspective allows us to understand more clearly the language of the court which described the occupants of the park as occupying the space ‘to the exclusion’ of the recognized private owners of the park, the general public who ‘wish to use the space safely’, as well as ‘those who live and work in the area’ who are the ‘intended beneficiaries’ of the zoning plaza. Indeed within the language of the court, the occupants of the park appear as the only category of individuals who lack any rightful claim at all to using the park. The categories of persons who appear to have a rightful claim to the park include a) the property ‘rights’ of the private owners, b) the ‘public access’ rights of those who ‘wish to use the space safely’ and c) a special category of ‘those who live and work in the area’ who are named as the ‘intended beneficiaries’ of the zoning plaza. Curiously, the rightful claims of these categories of persons to use the space do not appear to be in conflict. Rather, the only category of persons whose ‘presupposed’ rights in question appear to create a conflict is the category of the occupants who, as it turns out, lack any such rightful claim either to continuation of the protests or to their contravening of the rules of conduct established by Brookfield Properties for the purposes of free speech or assembly. This typology of ‘normal users’ of the Plaza illuminates the rationality of the court, allowing us to understand the jurisprudence of police power formulated in Waller. By calling attention to the way in which ‘pseudo-public’ spaces (Davis 2006) are subject to “police powers” that privilege and protect some ‘majority’ populations to the exclusion of others, we can better understand how democratic movements like Occupy are interpellated within these spaces as an enemy force or simply as ‘the underclass Other’. (As one observer said, ‘It’s like we are an invading army’). 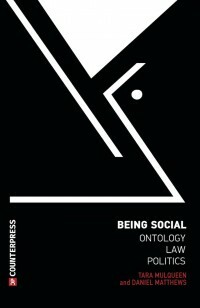 This reasoning resembles what Mike Davis calls a ‘rhetoric of social warfare that calculates the interests of the urban poor and the middle-classes as a zero-sum game’,3 where the ‘middle-class’ is conceived as embodying the healthy, law-abiding, consumer-citizen and the ‘underclass’ is conceived as dirty, criminal, lazy, etc. Most disturbingly, the categories of ‘normal users’ of the space (those ‘who wish to use the space safely’) appear here in Stallman’s ruling as those who apparently do not need to ‘demonstrate their rights’ to the space. The First Amendment rights of the occupants, however — who are interpellated as the underclass, dangerous ‘Other’ — are contingent, theoretical and subject to judicial review. Indeed, without specifying what might constitute a ‘demonstration’ of their First Amendment Rights in view of the legal maxim of ‘equal use’, the ruling effectively makes the First Amendment rights of public protest precarious and contingent at best, and at worst subject to the ‘police power’ of repressive, legislative and judicial power which collectively governs in the name of ‘security’. I read this article and found it very interesting, thought it might be something for you. 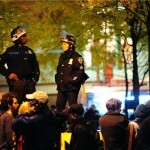 The article is called To Demonstrate a Right: Police Power Jurisprudence and the Rule of Law in Zuccotti Plaza and is located at http://criticallegalthinking.com/2014/03/24/demonstrate-right-police-power-jurisprudence-rule-law-zuccotti-plaza/.